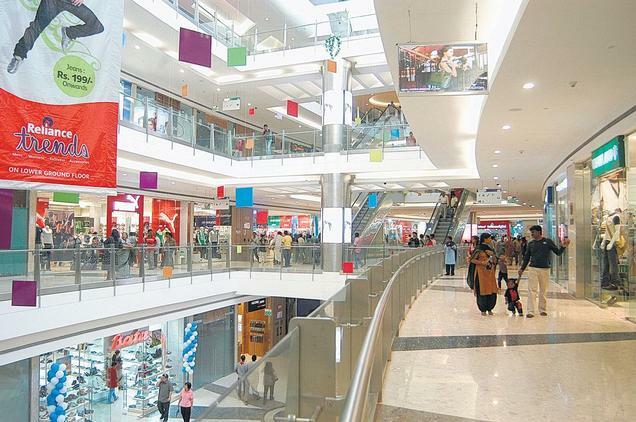 A recent article by @reshmakapadia (Oct 8, Barron's) described the investment opportunity in real estate trusts/funds which manage shopping malls in emerging markets. She specifically cites Brazil and ASEAN nations Thailand, Maylaysia and Indonesia. The premise of her position is that almost regardless of background GDP growth rates (Brazil for instance has slowed recently), job growth, personal income and demographics support new shopping habits and consumption patters. As emerging markets shift from "mom & pop" establishments to local and global brand name retailers, consumption becomes increasingly de rigeur and of course malls become destinations. In our experience a pair of additional factors drive this trend. Many emerging markets have somewhat unstable security conditions. Malls offer a delightful family outing to a secure (often parking is inside the guarded perimeter and screened by security guards before vehicles enter; and pedestrians enter through guarded entrances with security screening), air-conditioned and clean environment. Further the favorable demographics of many emerging markets are skewed toward a late-teen / early adult bulge - groups which are naturally predisposed to trendy consumption and the social element of 'malling.' Therefore similar consumption trends can be found in Turkey, Poland, Mexico, India, Vietnam, Colombia and increasingly in the vibrant markets of Africa. Now clearly this is not an investing blog, so why, you may ask, are we highlighting an investment story? From time to time we do precisely that, for we believe that often trends which are favorable for growth style investments in emerging markets are predicated on the same fundamentals that favor business growth from an export perspective. You'll look elsewhere for investing ideas - so what does this have to do with your global sales? Selecting appropriate target markets, and building a diverse effort is a critical step in long-term export success. With 196 (+/-) countries in the world, and with metros increasingly assuming individual market characters and importance, there's no dearth of destinations. It's easy to become focused on a headline market. Seductive stats, acronyms and popularity aside, poorly researched market approaches rarely perform well. Frequently barriers to entry (tariffs, corruption, excruciatingly convoluted buying cycles & price pressures) frustrate progress and companies grow weary of the ongoing investment absent demonstrable progress. "The right market" depends not only on absolute stats (demographics and growth projections) but also on the relative fit for your product, expectations and investment criteria. Picking markets in which you will succeed requires research, insight, experience and introspection. Pick correctly, particularly diversely, and you'll likely succeed with your international sales initiative. Pick rashly and you'll likely be thrashed about by conditions that seem utterly irrational. The growth is real...what's your plan? Watch and wish? Or develop a strategy? Obviously we're proponents of the latter. But we know from experience that without strong executive commitment success is unlikely. And many companies, beleaguered by stagnating conditions, competitive pressures and overwhelming workloads balk at the required commitment. For those companies, one questions. Have you done a thorough risk analysis of doing nothing? Just a quick note to companies considering an initial foray into, or increased emphasis on export sales. Localization is critically important. And the appeal of malls as a destination for secure family outings is an example of the cultural mindset which you won't uncover in a single scouting trip, nor through a breakfast export info briefing. This takes extensive, on the ground experience in a number of environments - experience that can only be accumulated over years and at great expense. Consilium Global Business Advisors makes that experience available to you, affordably and efficiently. Want to discuss how we can help you improve your global sales? Launch faster? Avoid costly errors? Contact us. Want to learn where you should go first? Whether you should chase the BRICs or run from them? Download our free eBook.